That’s right: All the common sayings above mention body parts. English isn’t the only language that does this! Spanish also has its fair share of body words that are used in everyday life outside their original meaning. That’s why it’s important to learn about the different parts of the body (el cuerpo). Use this post to familiarize yourself with body parts in Spanish, and how you can use them to mean so much more than their definition! You might think that learning the different body parts in Spanish is a straightforward affair. You pick a body part, memorize its Spanish translation, then boom! You’re done and move on to the next anatomical term. 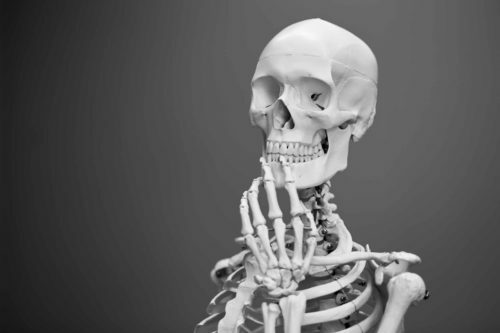 As you may have gauged from the introduction, though, learning about terms related to the body in Spanish is actually fertile ground for so much more than just memorizing some new words. Spanish has its own array of colorful constructs as well. In our list below, we don’t just give you a simple translation and move along. We wet your toes just a tiny bit and provide you with vocabulary, phrases and even example sentences that help illustrate the word. Of course, there’s no way to chase every rabbit and include everything here, so we’re not even going to try that. But we hope that the Spanish examples and cultural tidbits contained in this post will help enrich your understanding of each body part and how it’s used in everyday conversation. You can also enhance your learning of these words by checking them out in use on FluentU. 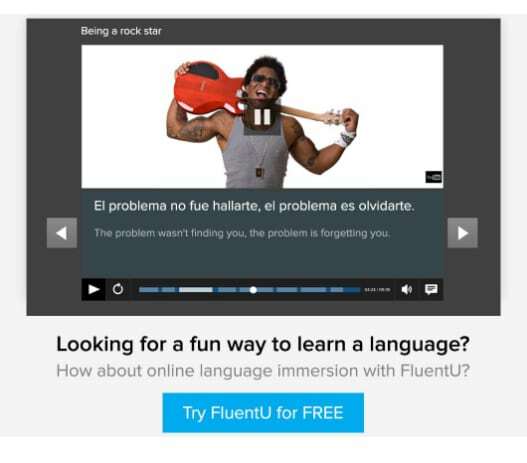 FluentU takes authentic videos—like music videos, movie trailers, news and inspiring talks—and turns them into personalized language learning lessons. Interactive flashcards and word lists also let you hear every word in many different contexts, used as real native speakers actually use them! As we said above, we can’t possibly include every variation in meaning for the words below, but you can find additional meanings yourself by browsing the many videos on FluentU. That said, let’s begin our general patronage, suitable-for-all-ages survey of the human body… in Spanish! Let’s start from the top, shall we? Besides referring to the anatomical head, cabeza can be used in many ways. Just like in English, you can use cabeza to mean that you’re the “head” of an organization. Likewise, “using your head” means using your mind or thinking. Tengo dolor de cabeza. (I have a headache). Here’s a word you might recognize: Máscara is the Spanish word for mask, which is a face that you literally put on. And speaking of putting on faces, here’s a relevant idiom: A mal tiempo, buena cara. It means that during bad times or moments of adversity, one should put on a brave face and see the brighter side of things. A good rule of thumb, if you ask me. There’s a Spanish horror film by famed director Guillermo del Toro entitled “Los ojos de Julia” (“Julia’s Eyes”), which is about a lady losing her eyesight. At the same time, she starts to see things and experience strange phenomena. I dare you to watch it. I wouldn’t be surprised if, after watching this film, you can’t sleep a wink. Or as they say in Spanish: No pegar ojo. Oreja is Spanish for ear. Interestingly, it can also mean “handle.” Imagine a Spanish mother “handling” her kid by a loving tug on his ear (because he just won’t listen!). Speaking of ears, did you know that baby girls in Spain often have their ears pierced even before they leave the hospital? Yep, no waiting ‘til the teenage years. The culture does this because it’s traditional and it’s believed that babies won’t feel as much pain (and if they do, they immediately forget about it). It also helps people tell at a glance if a baby is a boy or a girl. Saves a lot of explaining, right? In the same spirit, estar hasta las narices (to be literally up the noses), means you’re really just fed up with someone. Your boca is a body part that’ll be very busy for the rest of your life, especially if you’re Spanish. I mean, did you know that the Spanish culture has some of the most delicious food on the planet? You have your tapas, paella and gazpacho. Whew! It literally makes your mouth water or hacerse la boca agua. You have the world’s best restaurants run by the world’s best chefs like the Adrià brothers, José Andrés and Joan Roca. When you’re facing a plate made by guys like them, you simply abre la boca (open your mouth) and eat up. Ladies paint their lips and put on lipstick, which is what pintarse los labios literally means. And when you’re talking about lips, you’ll also often hear the word beso (kiss). So when you hear: Quiero besar tus labios (I want to kiss your lips) from a Spanish hottie, get ready to pucker up. Let’s just hope that it doesn’t turn out to be the “kiss of death” or beso de la muerte. It means that we shouldn’t find fault with something that’s been given to us as a gift or favor. In short, don’t be a jerk! So, for example, when you’ve been invited over for dinner, don’t nitpick and complain about how the food isn’t piping hot. Instead have a hearty appetite, or tener buen diente (literally: to have a good tooth). And when you get home, before you tuck yourself in, don’t forget to cepíllate los dientes (brush your teeth). Besides referring to the human neck, el cuello can also mean the collar of a shirt or the neck of a bottle. Expressions with cuello include meter el cuello, which means the same as “putting one’s nose to the grindstone,” and me juego el cuello a que…, which translates as “I’d bet my neck…” Use it only when you’re really sure of things, so you don’t get into trouble. Hombro is the shoulder. Don’t forget to keep the h in silent mode! In Spanish, most h’s found at the beginning of words are silenced. This is true for words like hola and hospital. So where did the h sound go? Well, it fell to the letter j. In words like joven (young) and jugar (play), the j sounds like the letter h.
So anyways, hombro. It’s your “bro.” No, really. Just think of the idiom arrimar el hombro. It literally means “move nearer the shoulder.” In short, you collaborate and give someone a helping hand. Talk about somebody to lean on! It refers to the great joy and delight a birth brings to the family. Its origins may date back to industrial society, when a birth was a fortuitous event because more members in the family meant more hands working together. More “breadwinners,” as they say. Economic or financial reasons notwithstanding, a new baby in this world brings hope and joy to the family. Just to hold one in your arms is gift enough. Mano is hand, and don’t forget that even though it ends in an -o, its gender is female. The phrase mano-a-mano, which literally means “hand-to-hand,” is often used to refer to a combat, duel or fight of some sort. Think boxing or martial arts, although the same expression can be used to refer to a battle of wits or reason. The same mano can mean quite the opposite when used in an idiom like echar una mano a alguien, which literally means you’re throwing a hand to someone. No, you don’t do it out of spite! The saying means helping someone out, like lending him a hand. Did you know that there’s a thing called the “Spanish elbow”? I don’t know its etymology or understand how exactly it’s executed, but Urban Dictionary describes it as “an almost super-human drunken move, that, when done properly can stop a bus in its tracks.” Whatever that means. Did you know that those Spanish fingers can talk? When they work together, those fingers can move in certain ways and gesture a message that any native speaker can understand. Study up on 19 must-know Spanish gestures and let your hands do the talking. Seriously, it doesn’t mean much if you take it literally. I guess they were going for the rhyme scheme there. But since we’ve already talked about food, let me tell you something about the world’s biggest lottery (also the second oldest): El Gordo (The Fat One). Every December 22, practically everyone in Spain is glued to their TV sets and computers. Why? To play a game of luck, of course, and win as much as four million Euros (at least as of 2015)! So, what would you do if you win El Gordo? Would you buy all the Zara and Manolo Blahnik products in sight? Or would you buy all those tapas, paellas and gazpachos we talked about earlier? When you mention la espalda, the back part of the body, my mind immediately pictures a line of people getting an awesome tan. I’m reminded that Spain has some of the world’s most beautiful beaches, with the bluest waters, where you smile and the sun smiles back at you. You have the likes of Majorca, Costa Brava and Gran Canaria that are worthy of your holiday plans. If you want to get away from dreary skies and into your bikinis, getting the tan of your dreams, go to any of these places. We’re getting lower on the body now and going into the final laps of this post. The leg often represents movement, action, going places. Did you know that Spain has its own “Tour de France?” The “Vuelta a España” (“Tour of Spain”) is a grueling three-week pedal through the Pyrenees mountains and a photo finish at the capital city, Madrid. It’ll test your leg to its limits. Rodilla doesn’t just refer to the anatomical knee. It also refers to the act of bending it, as a sign of humility and respect. Everybody kneels—from Don Quixote to the Spanish Football Team when they pose for a picture (or when they tie their shoes). To be “on foot” is a pie. Now, to be on foot in search for pizza or apple pie is a wonderful thing. But to “wake up with the wrong foot,” or levantarse con mal pie is altogether a different proposition. So there you go! You now have 20 parts of the body to master as well as some common Spanish idioms and popular expressions associated with them. Like I said at the beginning, we’ve barely scratched the surface here. Never stop learning!